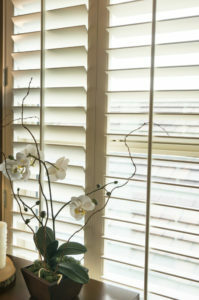 Shades, Blinds and Shutters - Columbia Builders, Inc. Learn everything you need to know about shades, blinds, and shutters! Window treatments are sometimes an afterthought, but they play an important role in your home. Shades and blinds can provide light control, privacy, boost energy efficiency and enhance your décor. Great selections offer both style and function. Today’s choices are numerous and have certainly come a long way since the days of aluminum and vinyl blinds. The beauty of plantation shutters, fabric shades, and wood blinds can stand on their own – even without panels and draperies – showcasing a pleasing window or a view. 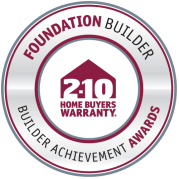 No matter what you choose to dress your windows, having a great foundation is usually the best place to begin. And, for added convenience to our custom home buyers, we’ve partnered with Next Day Blinds. Our homebuyers may include their shade and blind selections to the cost of their home, with the added benefit of having them installed during construction. A classic and traditional look, blinds allow you to control the amount of sunlight coming into your home, thus reducing glare and the fading of your upholstery and carpeting. Available in a variety of widths and finishes, in wood, faux wood, and other materials, blinds offer precise light control with their moveable slats. Stained wood blinds can deliver a look that feels right at home in your home office, and painted 2” faux wood blinds are a popular choice for bedrooms and living areas. Readily found at home centers and online, installation can be a do-it-yourself weekend project on standard sized windows. For a tailored finish, consider custom measuring and installation. From inexpensive roller shades to made-to-measure fabric roman shades, these versatile window coverings are available in many selections. Roller shades are the most affordable, easy-to-install light control and privacy, including black-out shades for those preferring total darkness while sleeping. Cellular shades are another option with the added bonus of insulation and energy efficiency, and can be raised or lowered from both the top of the window or the bottom. Roman shades often stand alone as a window treatment. From semi- transparent woven shades to custom fabrics which match or coordinate with a room’s upholstery or décor, these shades offer casual unconstructed styles, along with more formal ones as well, with the ease of lowering and raising the shade as needed. If you are wishing to add architectural interest, along with curb appeal, plantation shutters are the way to go. At home in more traditional settings, plantation shutters give light control and privacy with a truly custom look and fit, and higher price point than other selections of blinds and shades. You’ll want a perfect fit too, which is best achieved by custom ordering for each window. This entry was posted on Friday, April 12th, 2019 at 11:38 am. Both comments and pings are currently closed.